It was amazing. We had a wonderful guide. He was very helpful and funny. The service was great.... the chef was fantastic. He has baked a cake for Lisa's birthday. We had so many different meals. The trail was amazing too but the weather was sometimes not so well. We had ever day rain and it was cloudy. Four great days of adventure ! It was a great trip, besides the hikes - and being exhausted- we had a lot of fun. We had the best service and comfort on our trip... The guide was amazing. 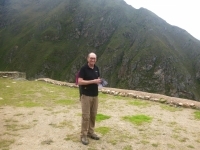 We learned a lot about the native people when visiting the Inca sides on the trail. 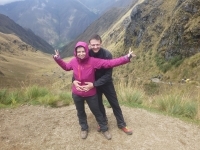 Vi kan varmt anbefale Inca Trail Reservations til en tur paa Inka stien til Machu Picchu. Vi gik over 3 doegn og havde en fantastiske rejse foerer der vidste alt om Inkaerne samt var indlevende i at alle gaesterne havde det rart. 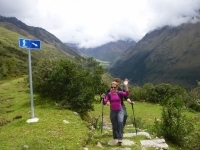 I really liked the Salkantay Trek. The guides where nice and helpful and explained a lot about nature, culture and people. I felt save the whole trip through. The cook and horsemen were awesome. They worked really hard to make our trip as good as possible. 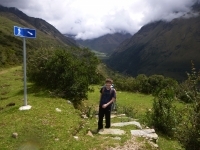 The Salkantay Trail was great. 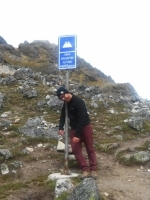 The hike on the second day up to 4400m was exhausting but equally as exciting. 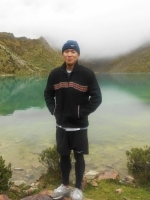 Seeing the Salkantay glassier up close was really nice and definitely worth the effort. 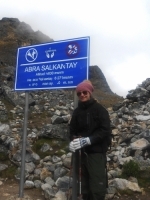 The other days were less hard but still offered a lot of great landscapes, hikes and adventures. Cansado y con frio ! 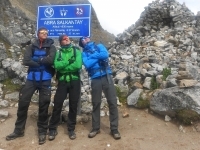 Salkantay trek es muy difícil ! 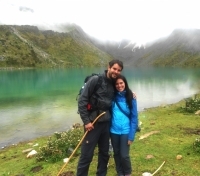 Pero creo que muchos jóvenes tienen que hacer el Salkantay trek. Porque yo sentí pasión. Especialmente el segundo día, estuve muerto jajaj. Siempre subo y subo la montaña y bajo y bajo la montaña, Pero yo vi el increíble, bonito y guapo paisaje ! Tolle Tour bei der von 1500 m ü. NN bis zu 4600 m ü. NN alles dabei ist. 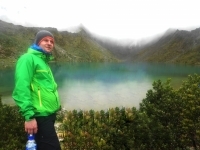 Dabei hat man eine tollen Einblick in die abwechslungsreiche Natur von Peru. 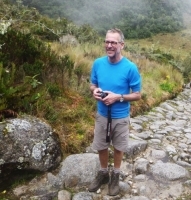 Vom Hochgebirge in den Anden bis hin zum Dschungel um Machu Picchu. This was a very fun and adventurous trip. We had a great trip with the guides, they were sweet and useful. We would have loved to hear more about the areas, ruins and mountains that we passed, it was a shame that they hurried too much to explain about see things. 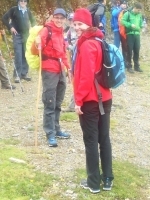 Nos ha encantado el trekking. 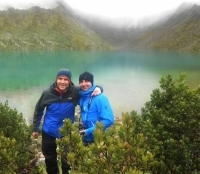 Decidimos hacer este trekking por recomendación de un amigo pero ha superado nuestras expectativas para bien. Las magicas montanas de Machu Picchu La Pachamama ! 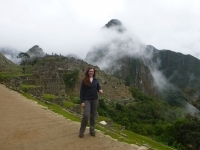 The Machu Picchu experience was a once in a lifetime adventure. 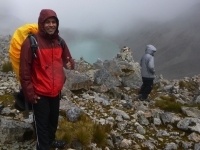 Every day of our 5-day / 4-night trek was memorable. The trip was wonderfully paced, I was never bored and was always looking forward to the next activity. I was always challenged but never pushed to a point where I did not want to continue. Beautiful trek with great food. Day two very challenging. Carlos did a wonderful job as guide. My 11 year old did well and enjoyed everything. They accommodated the vegetarian diet with no difficulty. We went the first week in April and had rain. The trek was still enjoyable and everything was very green with wild flowers.